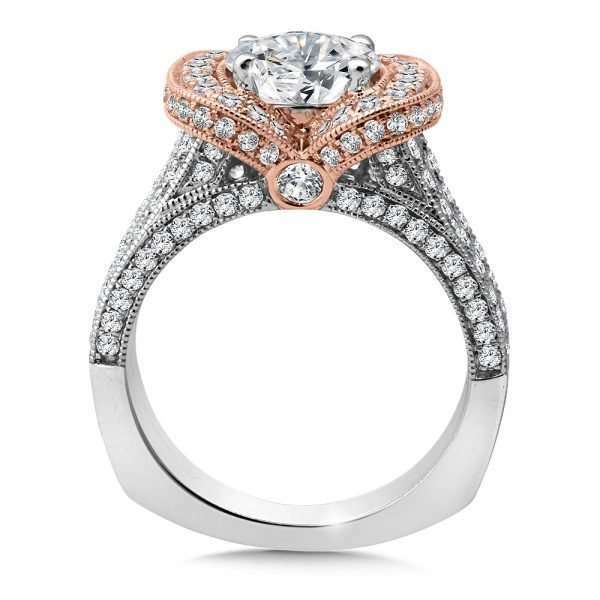 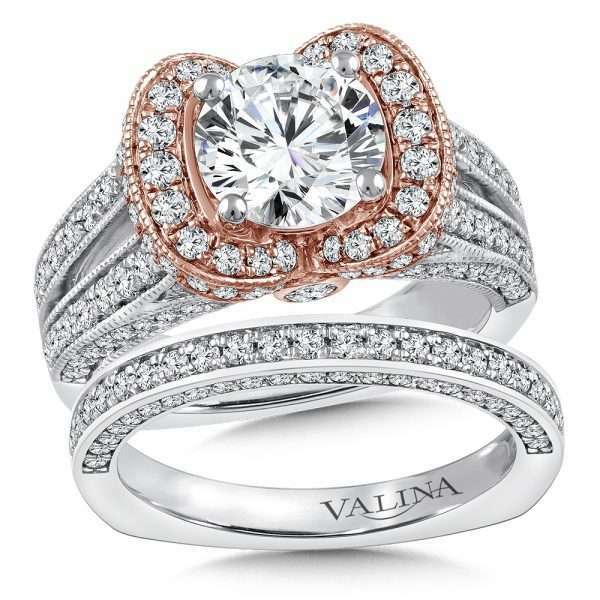 A delicate halo of 14K Rose Gold and diamonds hosts any size round diamond center. 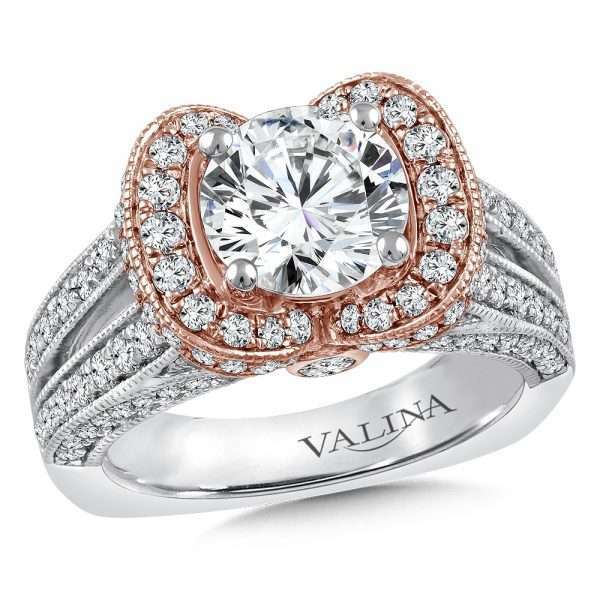 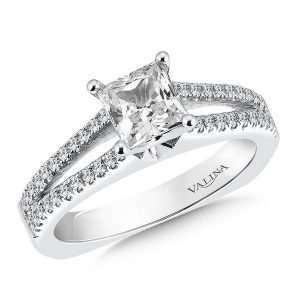 The shank is 14kt white gold and diamond ring mounting by Valina. 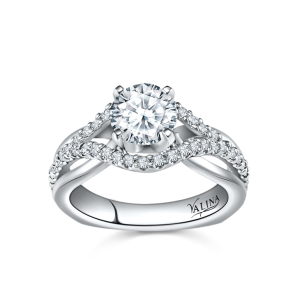 Total diamond weight in band is 1.34dtw. 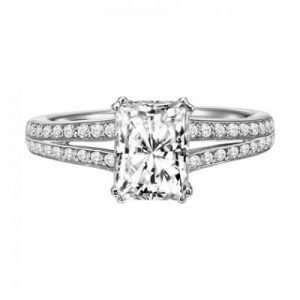 The price of this ring does not include center stone.